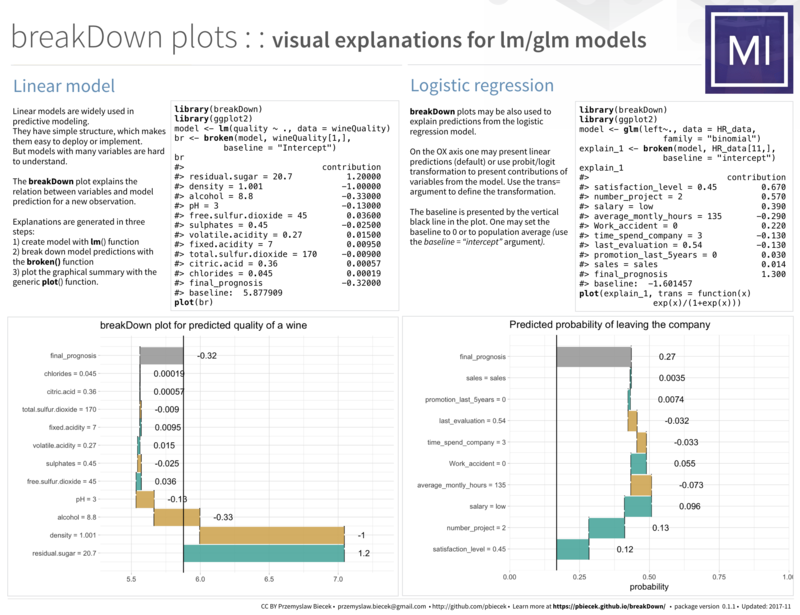 The breakDown package is a model agnostic tool for decomposition of predictions from black boxes. Break Down Table shows contributions of every variable to a final prediction. Break Down Plot presents variable contributions in a concise graphical way. This package works for binary classifiers and general regression models.